Do you know what culprit is behind the majority of adult tooth loss in the United States? If you said periodontal disease, also known as gum disease, you're right! If left untreated, this stealthy tooth killer can wreak havoc on a smile, causing pain, frustration, discomfort, and significant expense to restore oral health. Gum disease has also been linked to an increased risk for heart attacks, strokes, bone loss, and complications for diabetics and pregnant women. At Elmbrook Family Dental, we want to catch gum disease early, so we strongly recommend that you visit us at least twice a year for a checkup and cleaning. Plaque is the primary cause of gum disease, which is called gingivitis in the early stage. When plaque is not completely removed on a regular basis, it will harden into tartar. Food particles stuck between the teeth can begin to decay as well. This combination irritates the gums and fosters bacterial growth. Once gum disease sets in, it will not improve on its own. 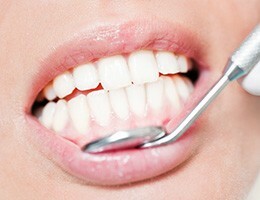 Scaling and root planing allow us to address mild to moderate gum disease right at the source of the infection. With an ultrasonic cleaner, we can remove all of the harmful plaque and tartar buildup from around the gums (scaling), and then we can gently smooth out the rough surfaces of the teeth’s roots (root planing). 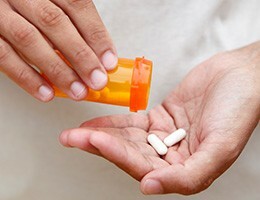 This will make a patient much less likely to develop serious gum disease again in the future. For more serious cases of gum disease, our soft tissue laser can provide a relatively quick and extremely effective treatment. 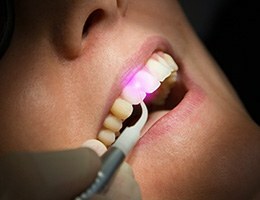 The laser’s highly-concentrated beam of light can instantly vaporize bacteria located along the gum line, and it can even painlessly remove infected tissue without affecting the surrounding healthy gums. It can do this while not generating much heat, sound, or vibration, making the entire procedure very comfortable from start to finish. Antibiotic therapy enables our team to treat your gum disease even after you have left our office. A powdery substance called Arestin will be applied directly to your gums, and it will quickly harden into a wax-like texture. Arestin is actually made of thousands of tiny microspheres, each one filled with a powerful anti-microbial agent. These will slowly dissolve over the next few days, allowing the medicine to reach and kill even the most well-hidden bacteria.